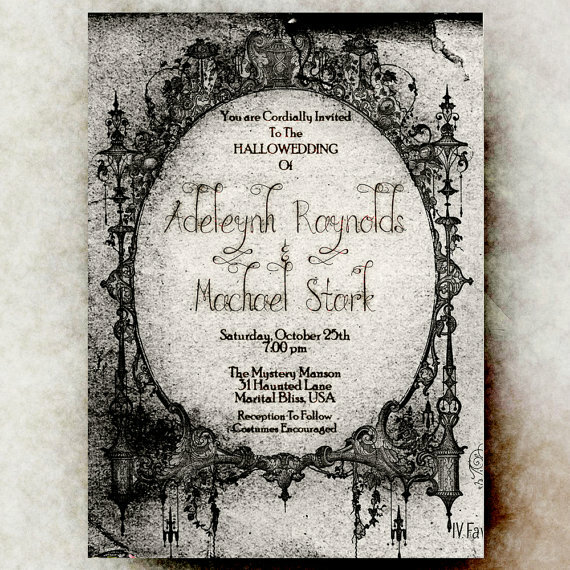 I am not married, but if and when I do decide to tie the knot, I dream of throwing a spooktacular Halloween themed wedding. 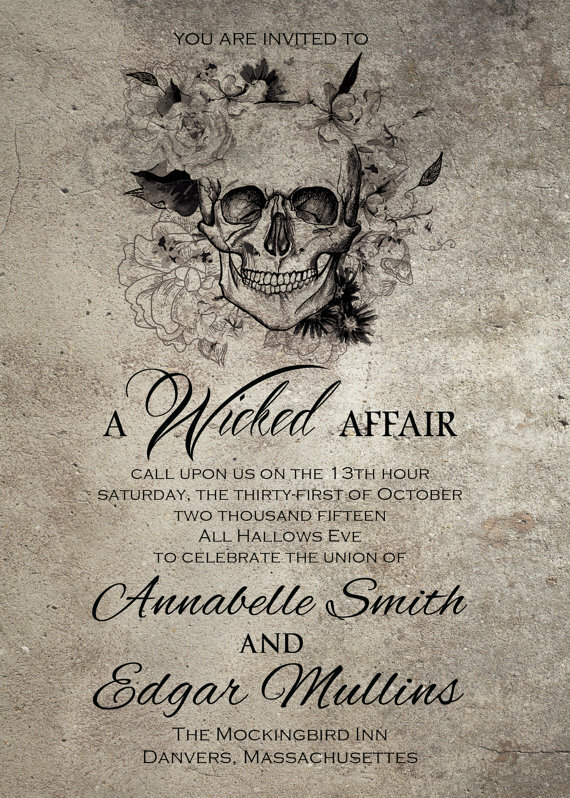 And then I want to go to Disneyland, during the Halloween season of course, for my honeymoon. I am not a girly girl and the idea of walking down an aisle in front of a bunch of people, wearing a frilly, white dress is the stuff my nightmares are made of! 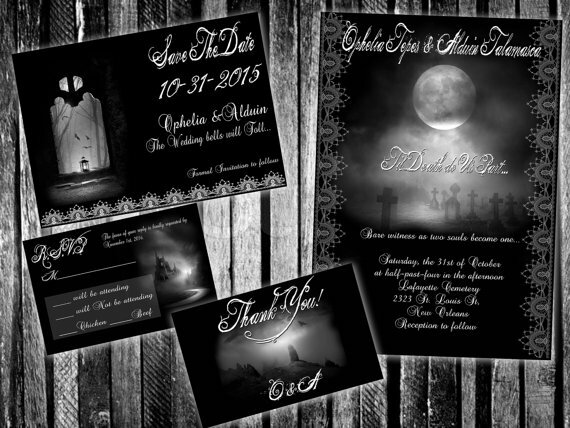 I put together a ghoulish collection of my favorite Halloween wedding invitations, bachelorette or bachelor party invites, save the date cards, couples shower and engagement party invites and bridal shower invites. 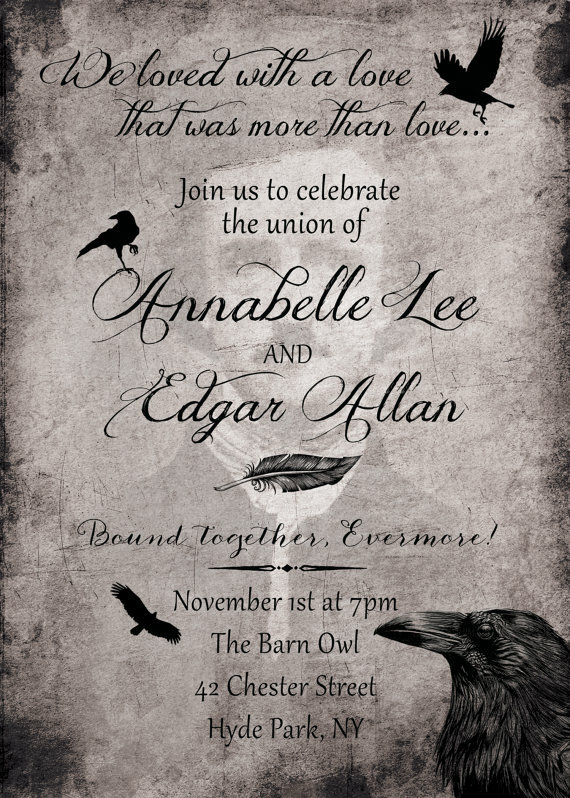 Some of the invites even come as a set that include RSVP, save the date and thank you cards too. 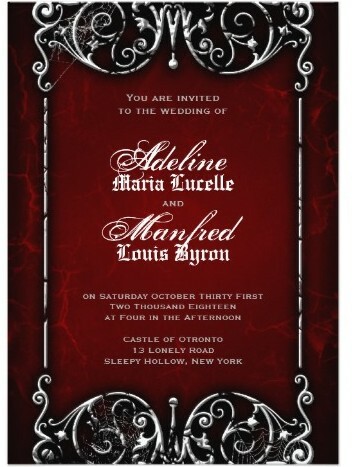 You will find custom invitations that you can either print yourself at a photo center or at home. 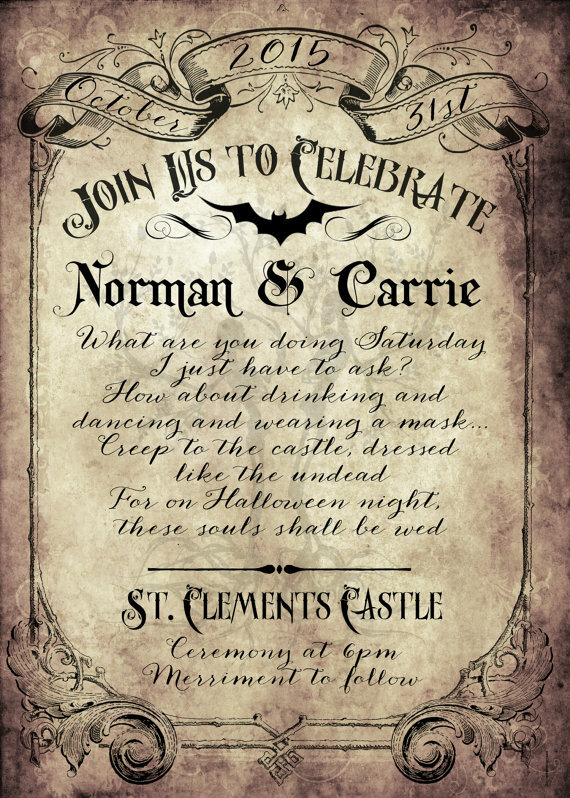 There are also a few selections where you can order custom designed invitations from a print on demand service where they take care of the printing for you. 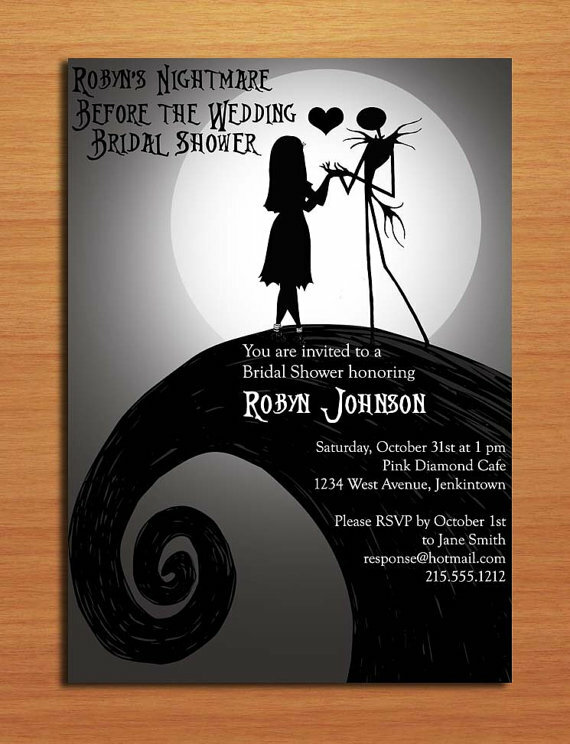 Work With A Designer To Customize The Invitation Of Your Dreams (Or Nightmares) And Then Print Your Customized Digital File At A Photo Center. 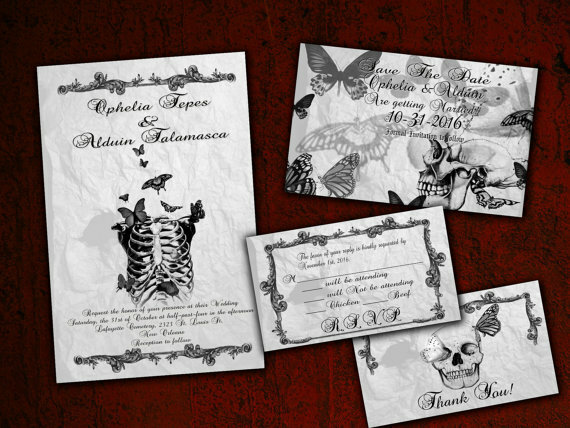 The following selections are custom, made to order invitations that you print at a photo center or on your home printer. 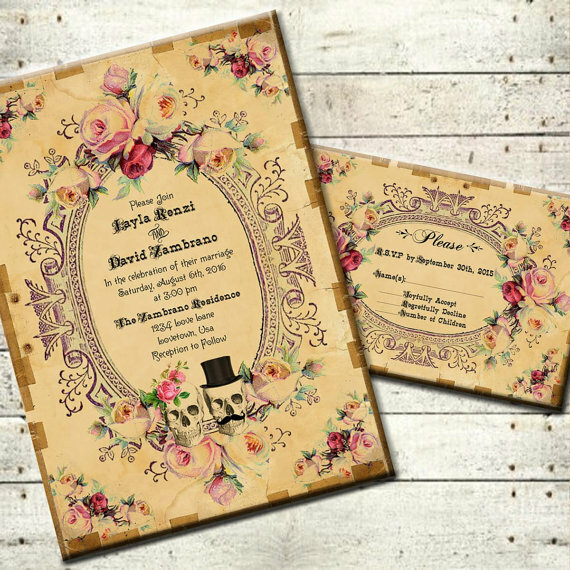 You pay a designer a small fee for the design and customization of your invitation and in return, you receive a digital file with your made-for-you invite that you take to have printed at your favorite photo center such as Shutterfly, Walmart, Target or Costco. 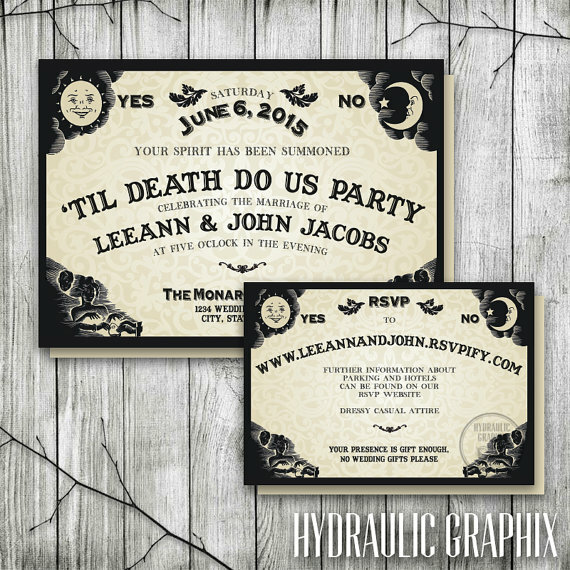 Once you specify the details you would like on your invites, and in some cases, choose your color scheme, you will receive a digital proof for you to approve. 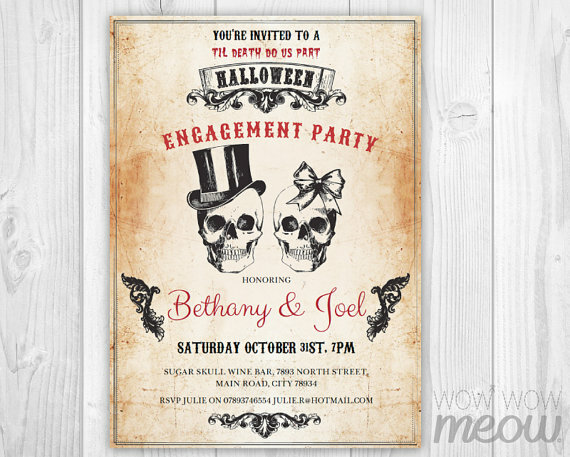 Once you approve the final design, a high resolution digital file featuring your custom design will be sent to your email. 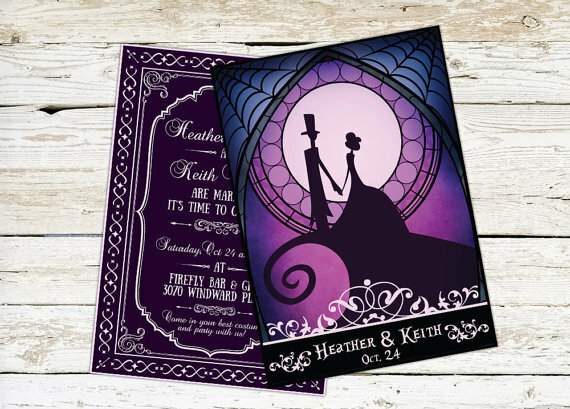 No physical items are shipped, though some designers do offer an optional printing service. 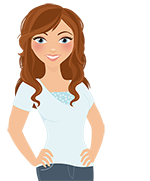 If you are trying to save a few dollars and stay within a budget, customized made-for-you digital files are the most inexpensive option. 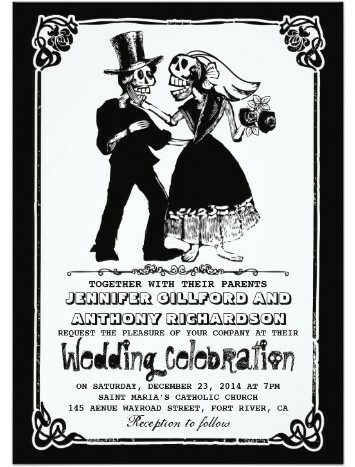 You pay a designer a small fee to custom design your invitation and then you just pay to have them printed at a photo center. You can get 4″ x 6″ prints for less than .20 cents a piece on your choice of matte or glossy photo paper at most large photo centers. 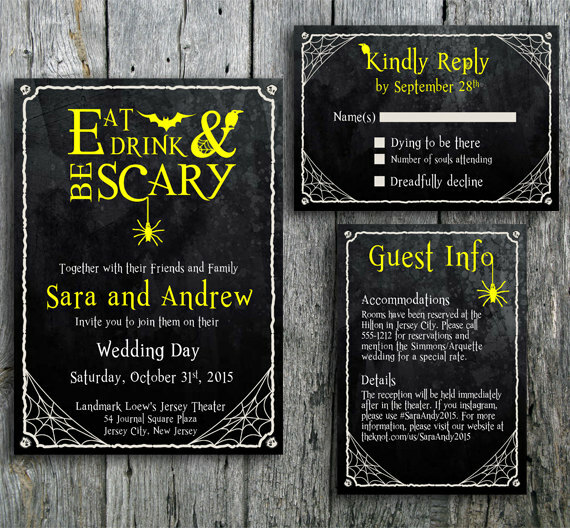 Choose A Template, Customize It With Your Details And Submit Your Order. 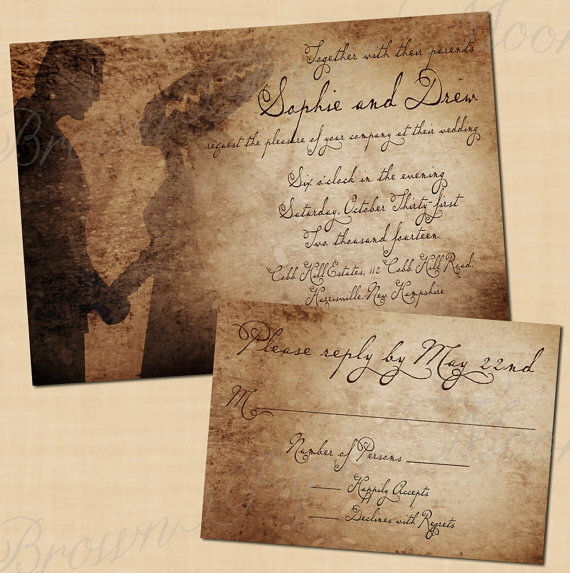 No Printing Required! 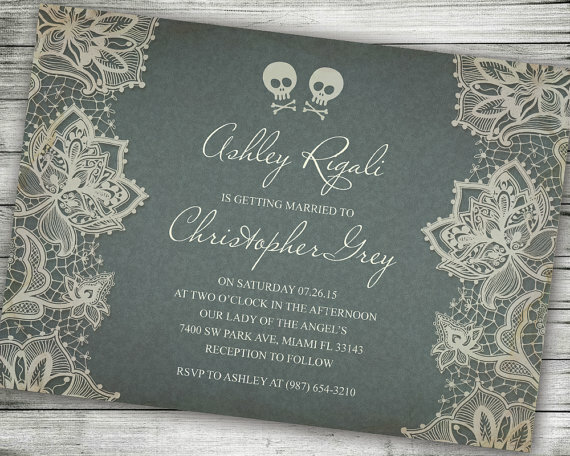 Your Personalized Invitations Will Be Printed On A Paper Of Your Choice And Delivered To Your Home Address. 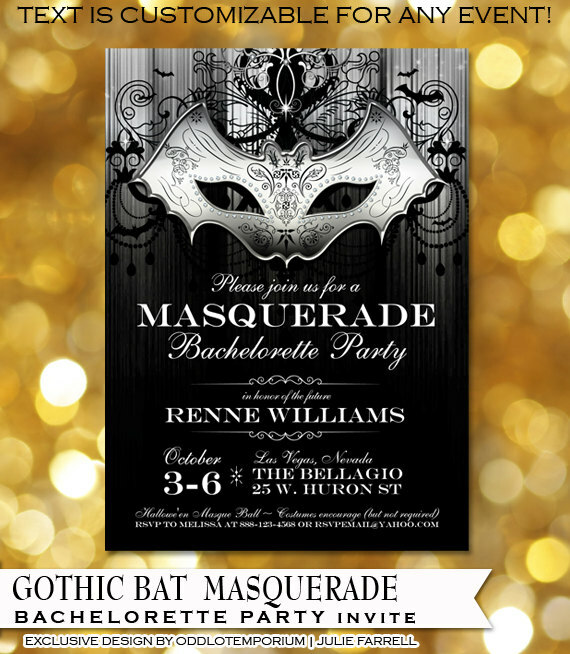 If you have a little extra budgeted for invitations and you want custom invitations that are printed on a paper of your choice, then these invites may be more suitable, though you don’t have as much flexibility in the design of your invitation because you are working with a template rather than a designer. 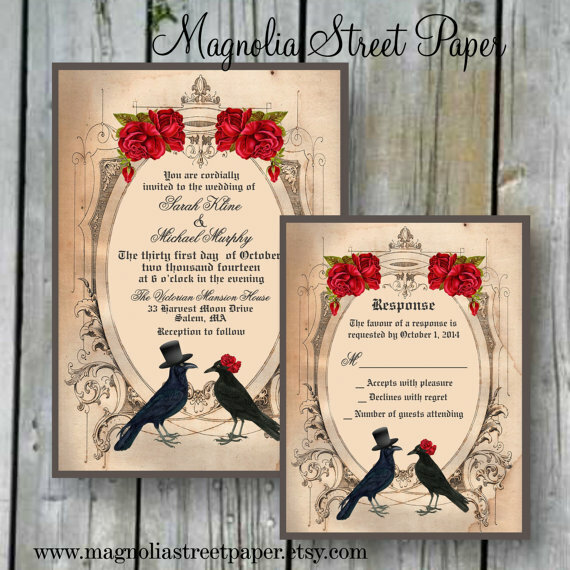 These are the more costly option, but you are able to choose from a variety of different papers ranging from traditional papers such as matte and semi-gloss to more luxurious papers such as linen and champagne shimmer. 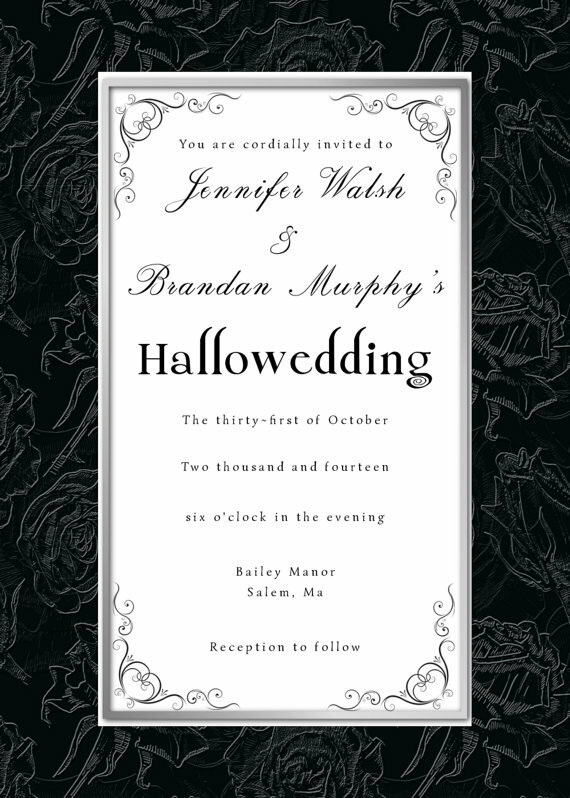 You also have the option of purchasing color coordinated envelopes to match the invites. 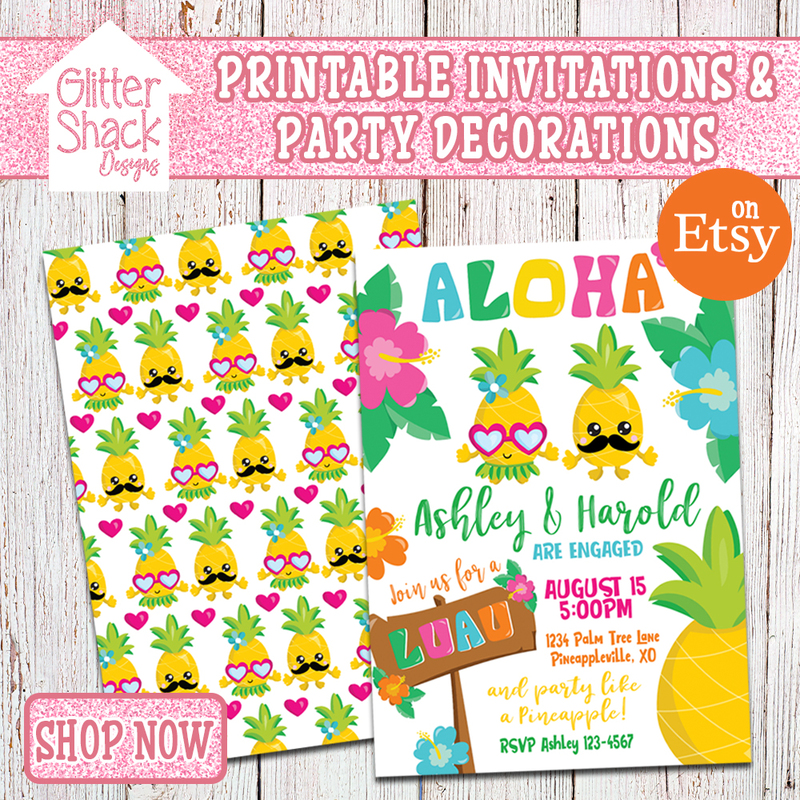 These are not print at home designs, but rather they are print on demand. 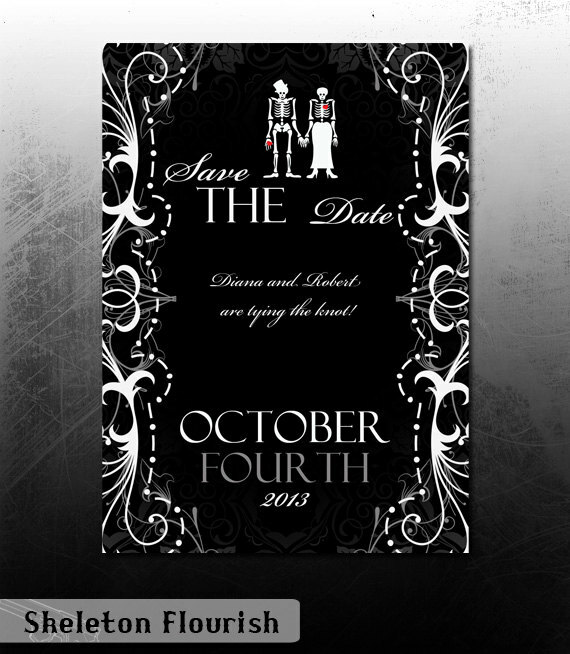 Basically, you go to the website, choose a template, customize it with your details and then submit your order for however many invites you need. 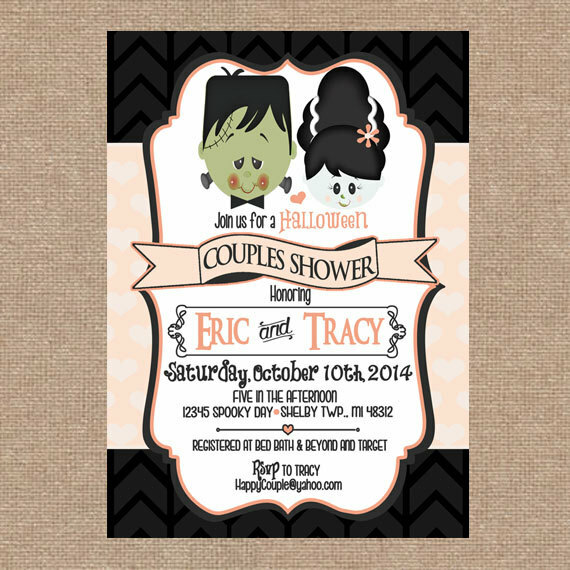 Once your order is processed, your personalized Halloween wedding invitations will be shipped to your home address. Thank you for stopping by! 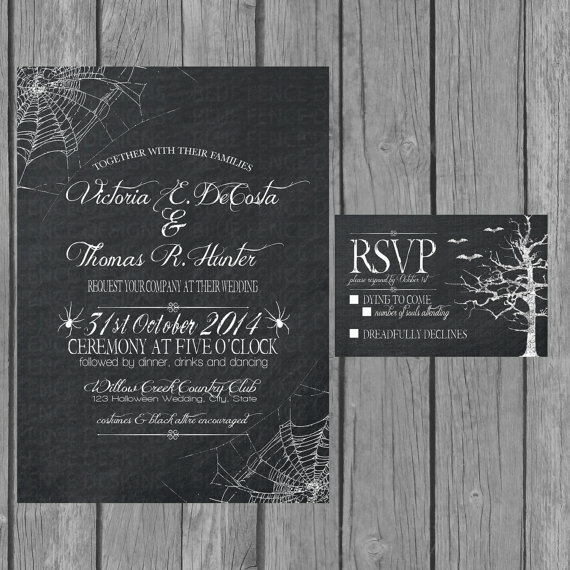 I hope this collection of spooktacular Halloween wedding invitations was helpful and you found something that is perfect for your special day? 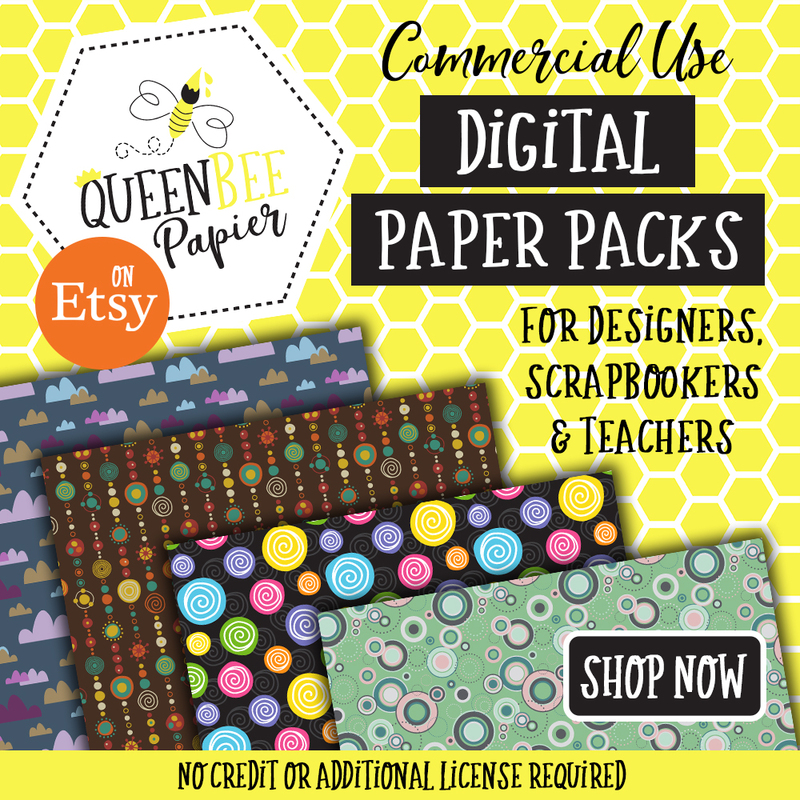 Are you an Etsy or Zazzle designer? 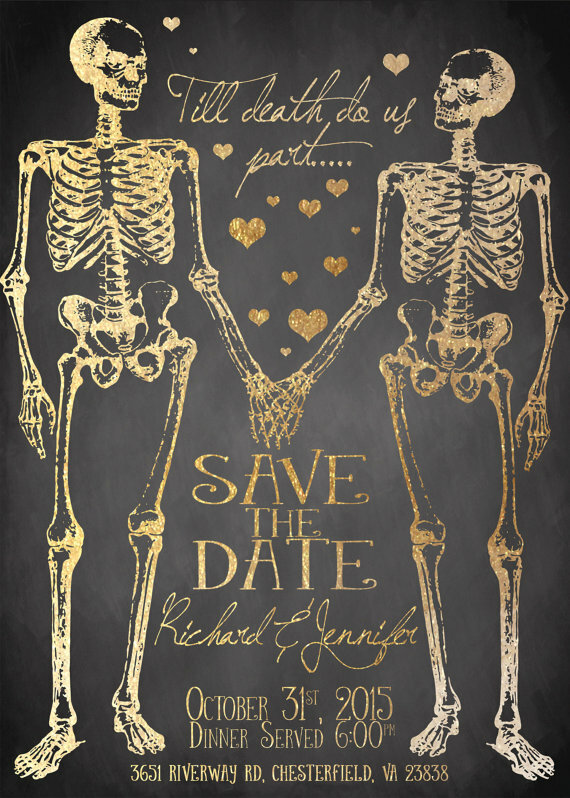 Please feel free to email with links to your designs and I will add them to this page. 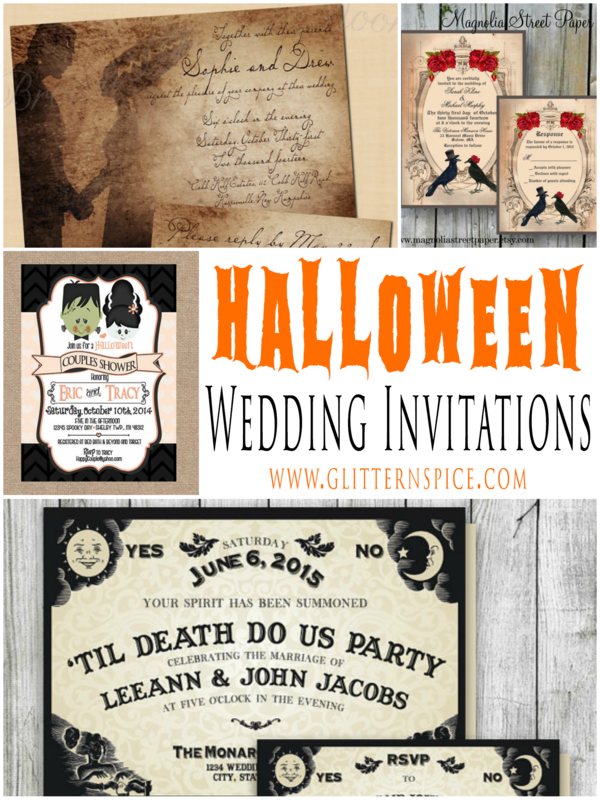 Follow Glitter ‘N’ Spice’s board Halloween Wedding Ideas on Pinterest. These are so much fun! 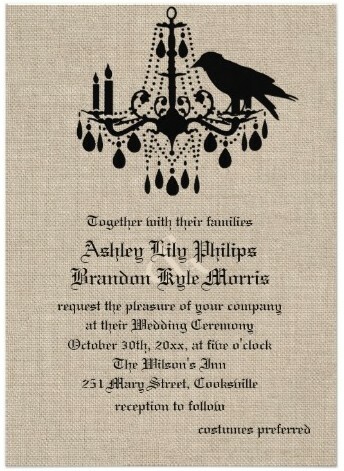 I never think of people getting married at Halloween, but why not?! What’s not to love? 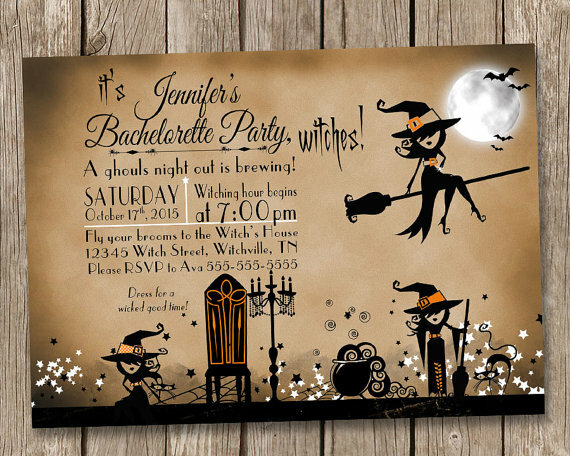 : Fun decorations, delicious autumn food, crisp cold evenings. Sounds like a great idea! You’re welcome! Me too! 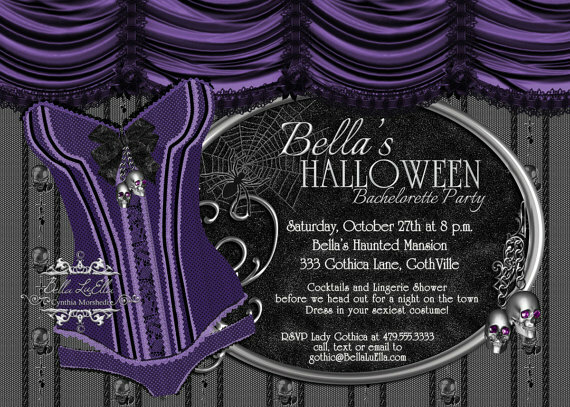 I wish Halloween was all year long!